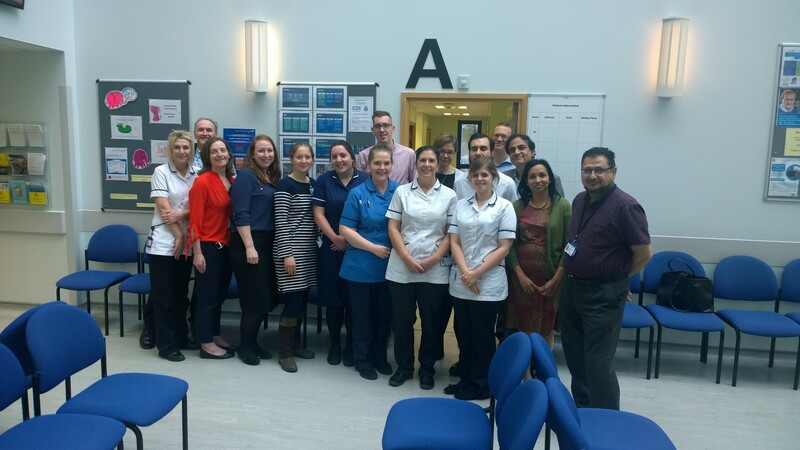 Hull’s ophthalmology team has scooped a top award in a prestigious ceremony celebrating clinical excellence in the UK. The multi-disciplinary retinal team at Hull Eye Hospital have won best ophthalmology service improvement in the Bayer annual awards. Staff nurse Anna Sanders was also highly commended in the outstanding ophthalmology nurse category for her 35 years of dedicated service. Michelle Kemp, director of operations at the trust’s Family and Women’s Health division, said: “This is fantastic recognition for an outstanding team who have embraced innovation and new ways of working to ensure patients receive the best possible care. “We couldn’t be prouder of them. Funded by Bayer, the annual awards are judged by a multi-disciplinary panel of experts in ophthalmology care to recognise and celebrate work carried out by teams throughout the UK. 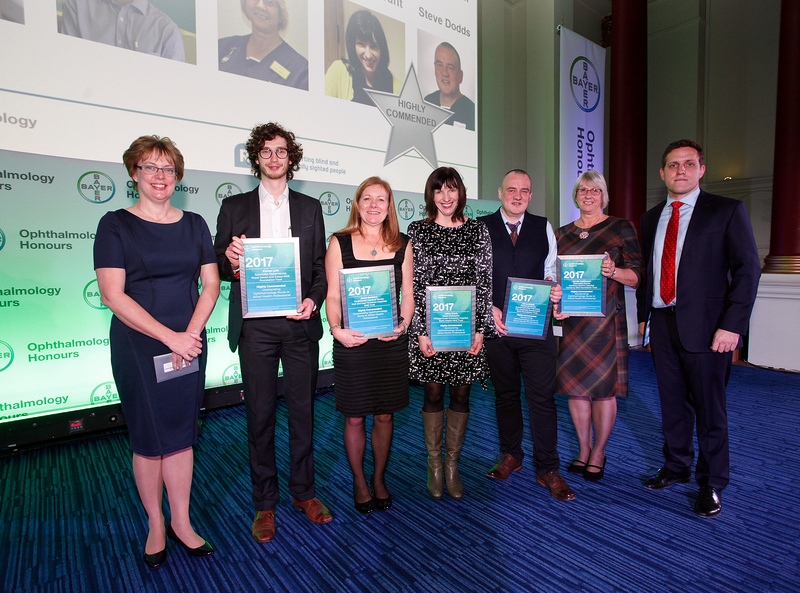 The Hull team was named best ophthalmology service improvement at a glittering ceremony in London this week. 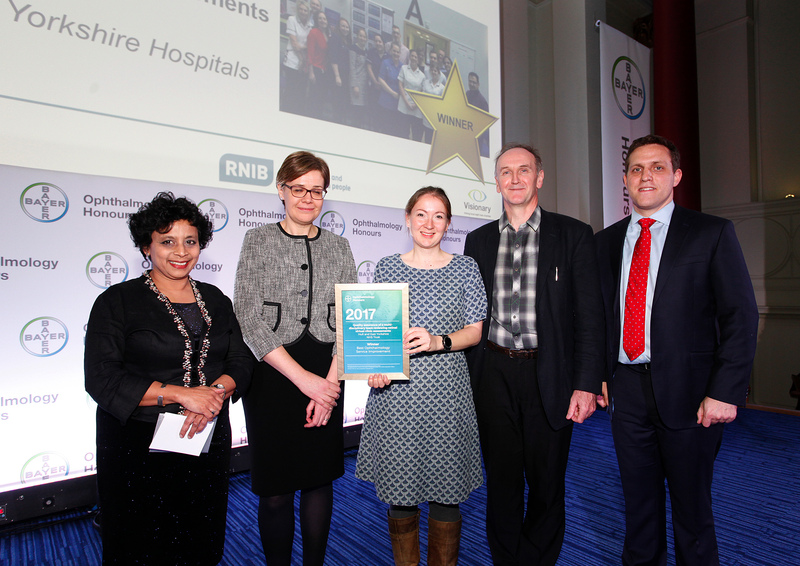 The award was collected by consultant ophthalmologist Louise Downey, who leads the retinal service, head of optometry Brian Melia and optometrist Ellen Beddows on behalf of the team. The award recognise improvements in eye units to improve and enhance patient care, save money and minimise the effect of reduced budgets as well as improving patient experience, quality of life and outcomes. In its citation, Bayer said the team had undertaken virtual clinic assessments for patients undergoing intravitreal treatments to allow the highly skilled team to deliver or assess 15,000 injections a year. The judges said: “This was an absolutely superb and fantastic entry that highlighted the added value brought to patient care for the centre with ‘superb’ metrics. Announcing Anna Sanders as highly commended in the category of outstanding ophthalmology nurse, the panel said her expertise had helped pioneer innovation in practice. Judges said she was “pivotal” in reducing the length of stay for patients after cataract surgery before retiring from the trust earlier this year. The panel also singled out her compassion, helping homeless patients in the run-up to Christmas, fund raising for worthy causes and creating “positive memorable journeys” for students. Ophthalmic surgeon Colin Vize, medical director of the Family and Women’s Health Group, said: “Ophthalmology services are under pressure all over the country and we are no different here. “But these awards show our patients can be assured that they are being treated by staff recognised by leading lights in the profession as the very best in the country.